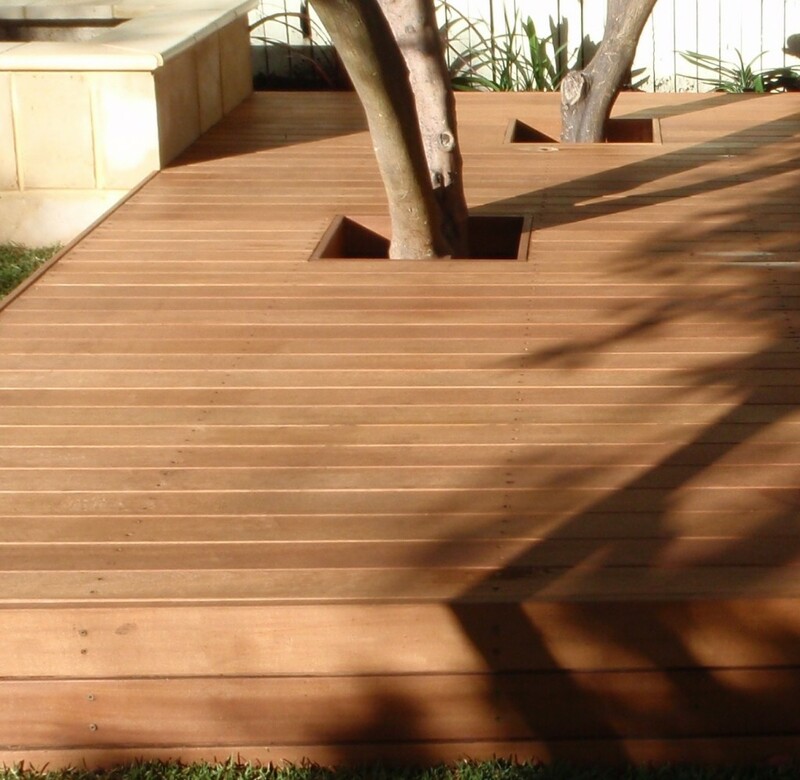 We believe wooden decking should be long-lasting, beautiful to look at and able to withstand the harsh Western Australian summers. 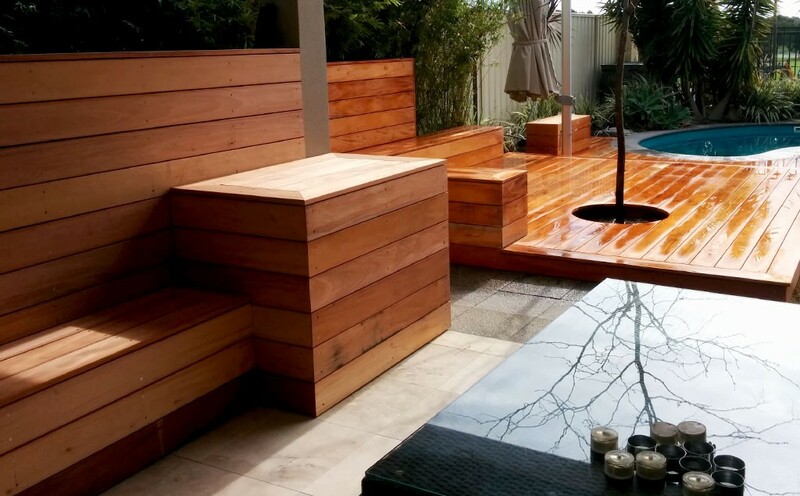 At Revive Landscaping, we specialise in the installation of pool decking, patios and custom installations. 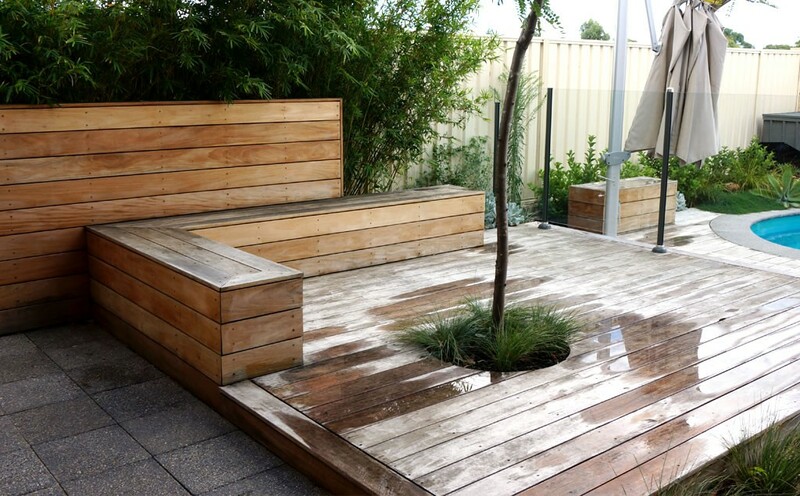 We’re conscious of the importance of sourcing sustainable decking materials from environmentally friendly channels. In keeping with sustainability, we also use composite decking, which has a much smaller ecological footprint while still looking fantastic in any outdoor setting. 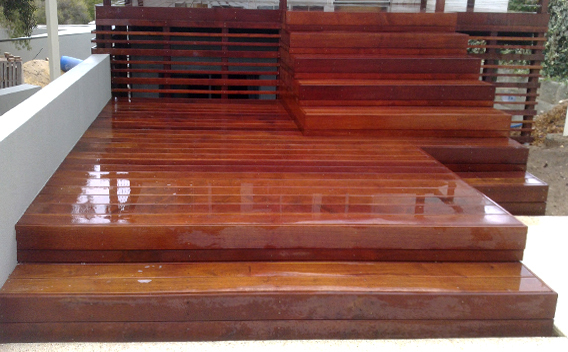 We take great pride in our workmanship and ensure all exterior grade decks and screens sanded back and oiled to the highest quality finish. Fancy something bespoke? How about built-in benches or chairs? Or cleverly built in cupboards discreetly built into your walls? We can also build dining tables, patios or pergolas, just as you’d like them.  Custom fabrication gives your home for unique, inimitable style and look sophisticated, seamless and timeless. 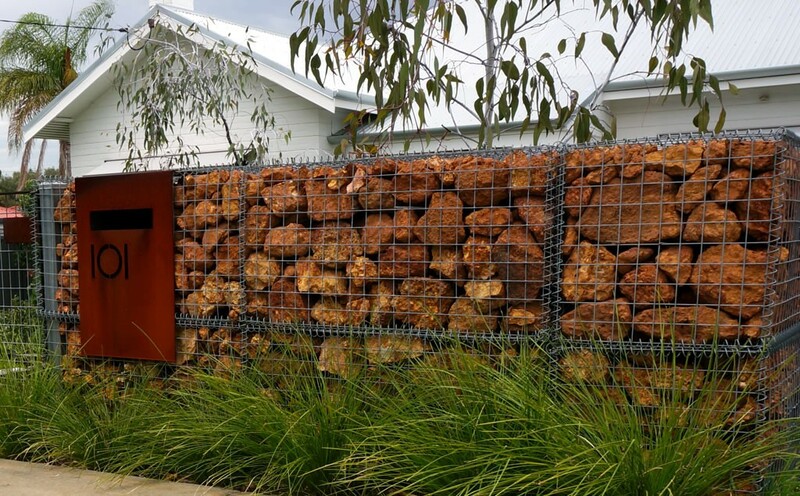 Timber screening – Traditional timber screens offer rustic appeal as well as a sense of privacy on your outdoor decking. Aluminium screening – For a sleek and modern feel, aluminium screening provides privacy suitable to contemporary design motifs. Composite screening – This is an environmentally friendly option, with a small ecological footprint. Bamboo screening – Bamboo also has a small ecological footprint, and the screens produced by it are every bit as attractive as those cut from more traditional woods. We can also work with you to create garden screen panels, and custom fabricated screening to enclose larger garden spaces. 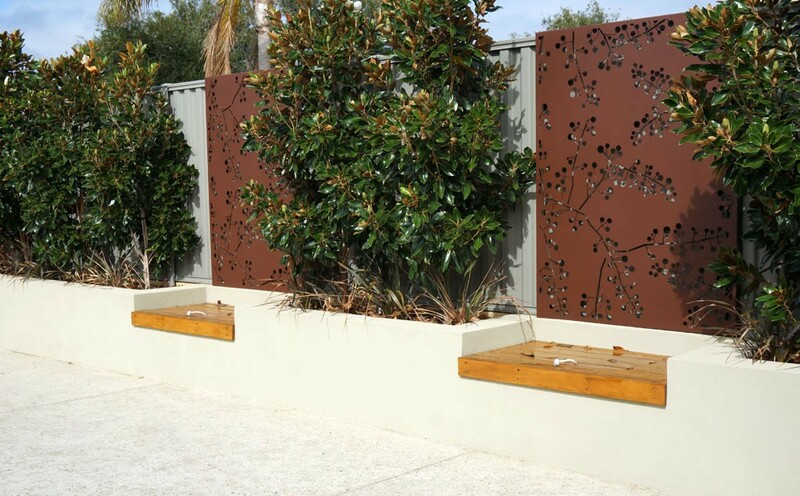 In addition to enhancing the ambiance and privacy of your decking, there are many other useful applications for decorative screens and slat fencing in Perth. For example, you may install a perimeter screen to create a barrier of privacy between you and your neighbours. 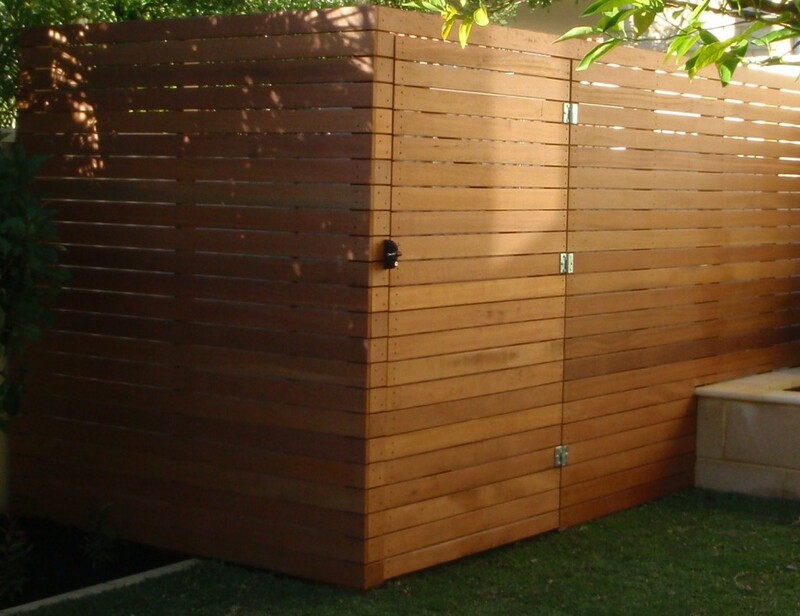 A shed screen helps to conceal the storage facilities on your property. Similarly, galvanized mesh screens can provide a platform for your favourite climbing plant, such as a passion fruit vine, for example.